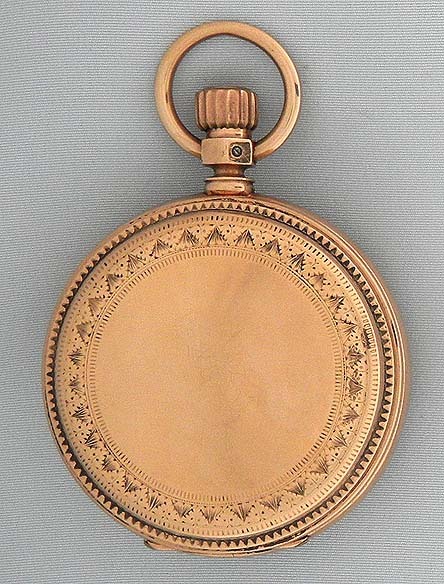 Fine and extremely rare California gold quartz Waltham antique pocket watch circa 1895. 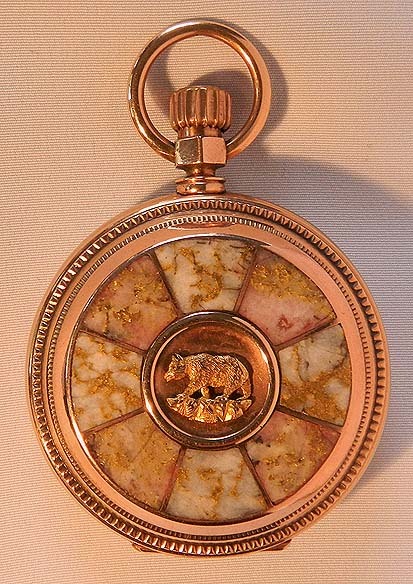 The cover with sections of gold quartz centered with a California bear. The back with decorative border. 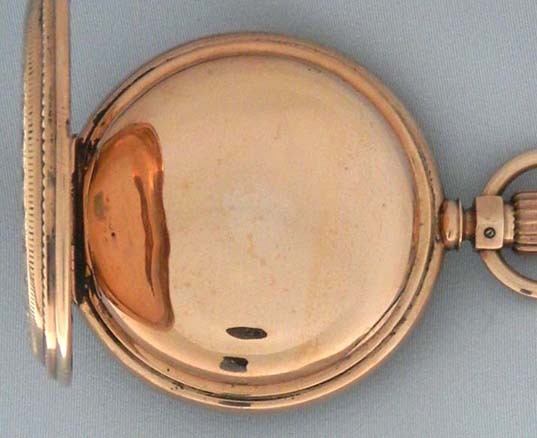 The dust cover with minor dings. 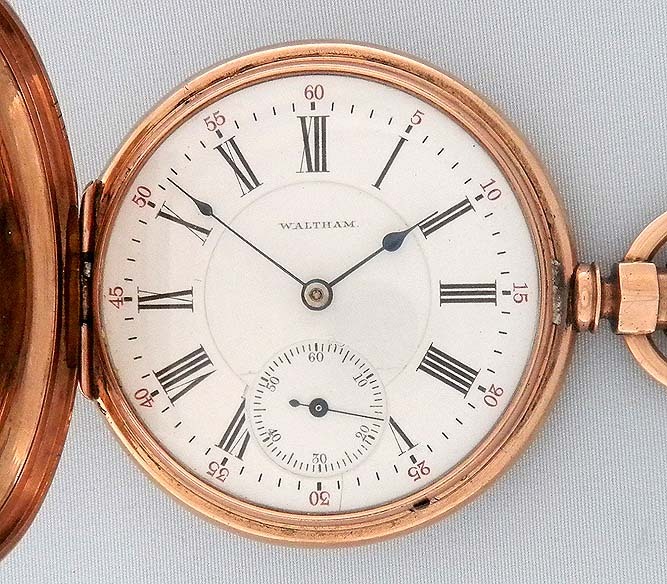 Fine white enamel dial with red and black markings and blued steel hands. 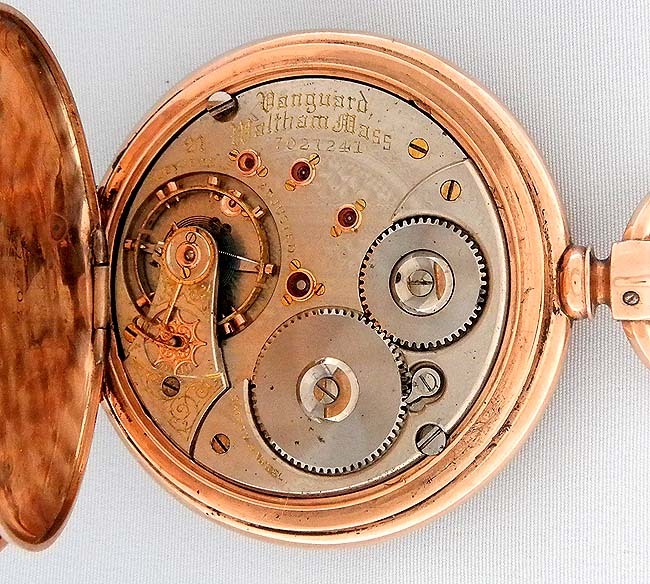 Fine 18/S Vanguard 21 jewel movement with screwed gold jewel settings and fancy precision regulator. A wonderful watch.